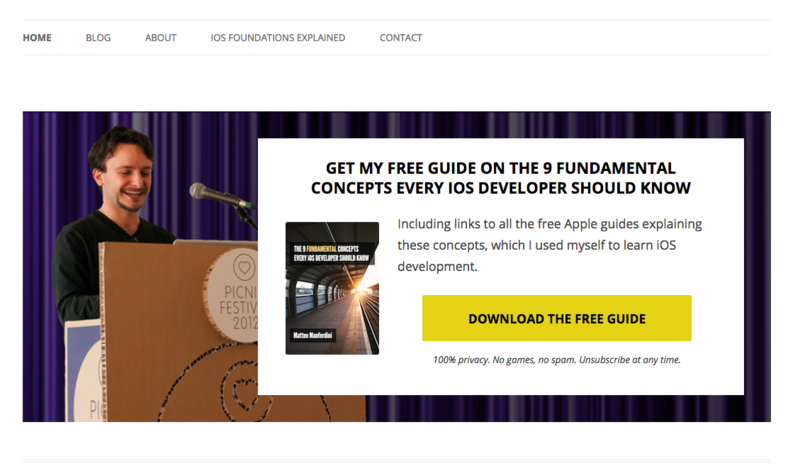 A 35-year-old software developer from Amsterdam, Matteo is the founder of iOS Foundations. He wanted to learn how to start an online business because he was tired of spending months and months (and countless hours) developing products that nobody was buying. Matteo’s background in computer science lead him to believe “if you build it, they will come.” But, after unsuccessfully launching a business around several apps and an ebook, he knew this wasn’t true. He used Zero to Launch to learn how to build a product that people actually wanted to buy. He earned just over $1,000 in his first product launch while working only a few hours per month on his online business. Matteo went from building apps that nobody wanted (or cared about) to launching a successful product online. He earned more than $1,000 in his first product launch. Matteo’s background in computer science and his work as a software developer left him highly skilled at creating products, but marketing them was a different story. Sometimes, he’d spend months and months brainstorming new ideas for apps, writing code, and testing each detail to make sure it performed just right. Only to quickly realize that the apps weren’t selling anywhere close to what he’d expected. But after a few of these failed attempts, he realized he was going to have to learn how marketing and business really worked — or continue facing these failures. Without a solid business plan or any idea of what was ahead, Matteo’s ebook business idea quickly fizzled out. Matteo didn’t want to just launch an ebook and make a few sales. He was determined to build a real online business. He dove back into researching how to do it. When he did, he stumbled upon Zero to Launch. This insight completely turned the way he’d gone about building apps upside down. This wasn’t a subtle difference. It was a huge mindset shift that led to dramatically different results. As soon as he switched the way he thought about products and marketing, the content he wrote began to resonate with his audience. As his list grew and more people asked him for help with their iOS development, he realized it was time to launch a product. He launched his first product, teaching developers how to write software for iOS applications. Twenty-one people immediately bought his course when he launched. And he made $1,029 in just a few days. Now that he has a very successful product launch under his belt, he’s realized how lucrative an online business can be if you take the time to really understand the target market and their needs. Learn the exact system Matteo used to go from unsuccessful product ideas to a profitable online business in this 3-part video series. The first video in the series walks you step-by-step through how to find a profitable idea and then how to turn that idea into a product that people want to buy. Find your profitable online business idea today!